Karleen is a triathlon and running coach from Arizona. Having as strong background in swimming and running, she found that it would be the next step to jump into triathlon in 2008. 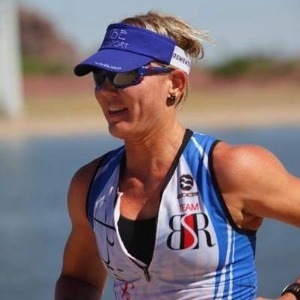 Since competing in her first triathlon, she has competed in 5 Ironman races, countless Half Ironmans, Olympic and Sprint distance triathlons, and 8 marathons. She is a 6 X Boston Qualifier, a 70.3 World Championship Competitor, and a 2 X Ironman World Championship competitor. Karleen specializes in working with athletes of all levels and develops custom programs tailored to their goals. She understands life balance with work, family and training, and finds a ‘happy medium’ that works. Since competing in swimming in her youth, in 2007 she decided to race in her first sprint triathlon. She has had the triathlon bug ever since! Within 3 years she was competing as a high-level age group athlete in the sport. Karleen focuses each year on getting stronger physically and mentally. I specify in long distance endurance sports, ie. 1/2 IM, IM, Marathon and 1/2 Marathon as key races. Success. Coach Karleen Dirmantas has been notified of your message.